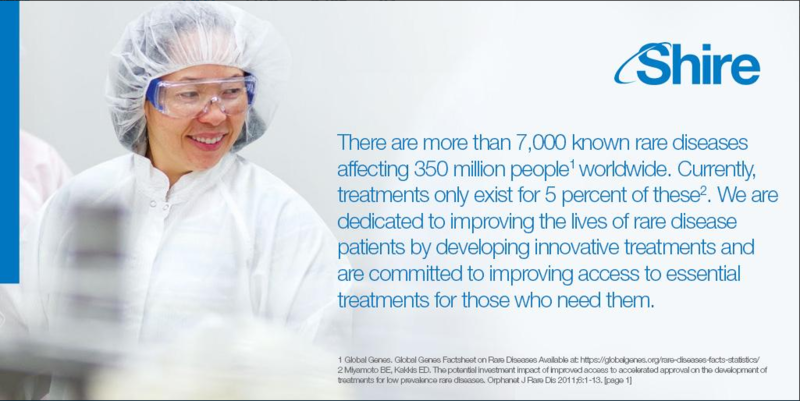 Did you know of 7,000 rare diseases, only 5% have treatments available? 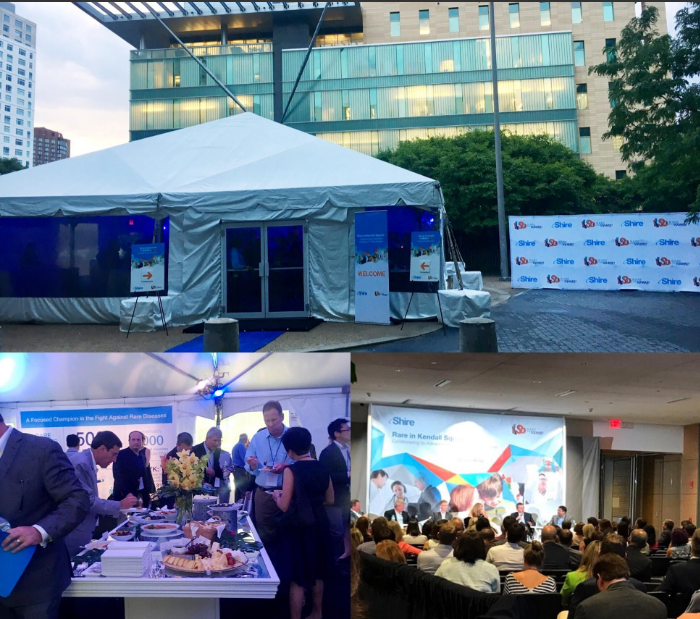 On July 18th, Shire invited professionals local to Cambridge, MA to participate in Rare in Kendall Square: Collaborating to Advance Innovation in Rare Disease. Over 200 attendees gathered to network and weigh in on a panel discussion centered around the idea that partnerships can advance treatment options. “Our fight against rare diseases cannot be waged alone – unique partnership models are critical,” said Flemming Ornskov, M.D., M.P.H. and CEO of Shire. The multi-disciplinary panel, moderated by Bob Coughlin, President and CEO of the Massachusetts Biotechnology Council, included Alan Beggs, Ph.D., Director of The Manton Center for Orphan Disease Research at Boston Children's Hospital; Nicole Boice, Founder and CEO of Global Genes; Bharatt Chowrira, Ph.D., J.D., President of PureTech Health; Blaine McKee, Ph.D., Head of Corporate Development at Shire; and Ron Renaud, CEO of Translate Bio. Shire hopes to keep the rare disease conversation going, and open up opportunities to build partnerships in innovation. In the fight against rare disease, every day is an opportunity to win. Click here to learn more about Shire’s commitment to rare disease research.